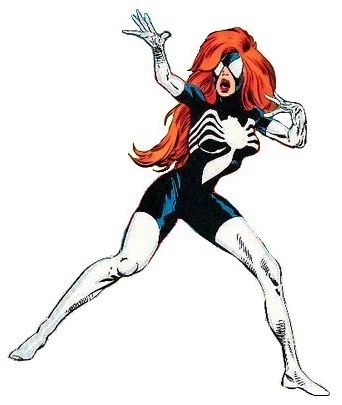 What do you think of Julia Carpenter's original Spider-Woman costume? Going with a "Like" on this one. There's an even distribution of Black and White, and the Red hair adds a nice contrast. Plus it stands the Test of time.